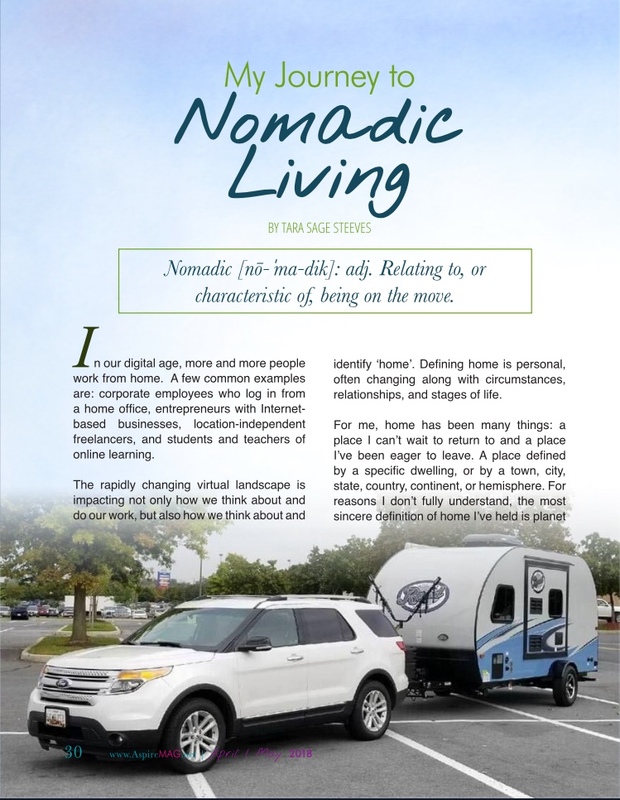 I’m excited to share that my article “My Journey to Nomadic Living” is included in the just released April/May 2018 issue of Linda Joy’s Aspire Magazine. I hope it speaks to you! 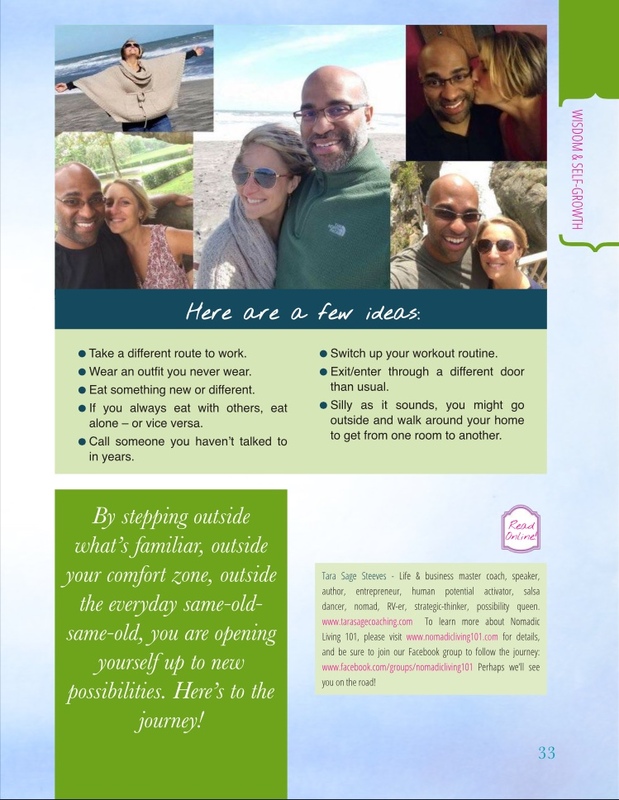 Please read, comment, share with others, and scroll down for the link to access the full Aspire Magazine issue. 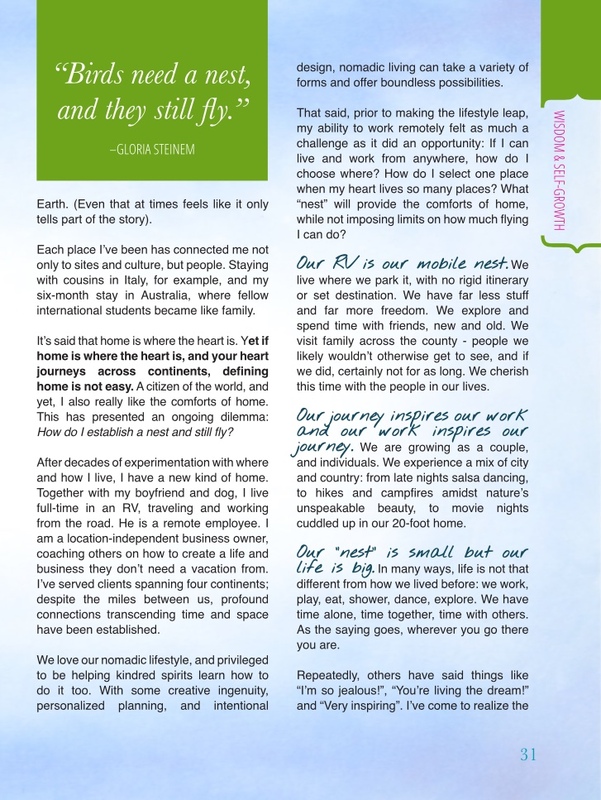 Click here for a peek into the April/May issue of Aspire Magazine, and while you’re there, claim your FREE subscription to Aspire for immediate access to the full issue + over 3 years of archived issues + over 40 transformational welcome gifts. 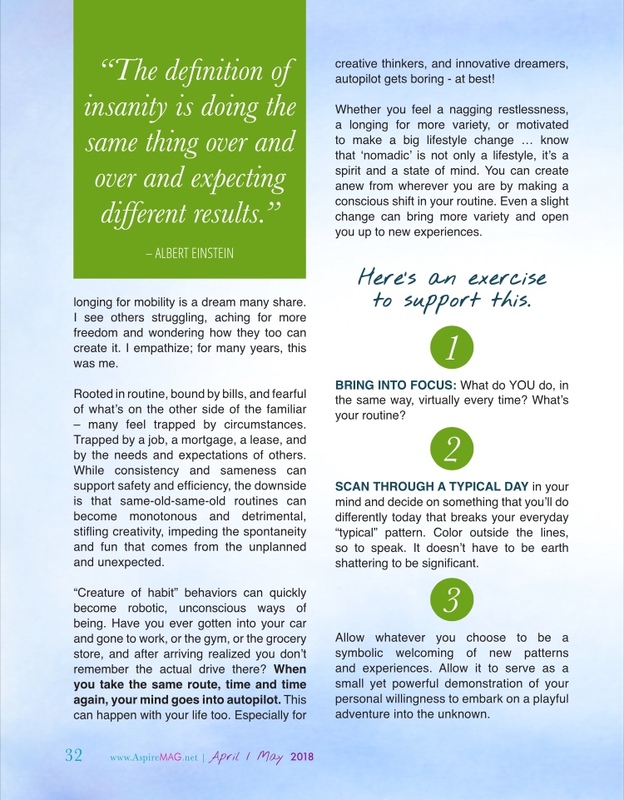 In this issue, you’ll find topics including shifting your money mindset, relationship transformation strategies, mindfulness, the Enneagram, and more. When you peek inside you’ll see why I’m excited to be a part of this high-vibe issue alongside so many inspiring contributors. Enjoy!